Do you snore at night? Or, does your partner tell you that you do? Either way, it’s essential to get your snoring under control. Snoring can be a symptom of a severe health issue, and long-term snoring can also set you up for a wide range of illnesses. If you’ve been trying to learn how to stop snoring at night, you’ve come to the right place. Read on to learn more about the common causes of snoring, as well as tips on how to stop snoring for good. There are a variety of causes of snoring. But, the snoring sounds you hear when someone is asleep come when the structures inside of the throat (most often the soft palate, which is the back of the roof of your mouth) vibrate. When you’re asleep, the soft palate and other structures inside the throat relax. When air flows past them, they vibrate as you breathe in and out. When the vibrations occur, you emit snoring sounds. If you have a low or thick, soft palate, it can cause your airway to narrow. You can also experience obstructed airflow and increased vibrations if you have an elongated uvula. Some people also experience changes in the anatomy of their mouth when they become overweight or obese. They have extra tissues in the back of the throat that narrow the airway. Obstructive sleep apnea is a disorder that involves the cessation of breathing while you sleep. There are many different types of sleep apnea, but obstructive sleep apnea is the most common. It is caused by a blockage in the throat. If you have sleep apnea, snoring is one of the first symptoms you’ll experience. If you have a habit of consuming alcohol in excess before going to sleep, you’re more likely to snore. This is because alcohol is a depressant that relaxes the muscles in the throat. This, in turn, increases airway obstruction and the likelihood that you will snore. If you struggle with chronic nasal congestion or allergies, you may deal with habitual snoring. If you have a deviated nasal septum (i.e., the partition between your nostrils is crooked), you may also snore. If you’re chronically sleep deprived, your throat may relax more than is normal when you finally do get to sleep. This, in turn, may cause you to snore. The position you lie in when you sleep can also increase your chances of snoring. When you sleep on your back, you’re more likely to deal with a narrowed, obstructed airway. If any of these factors apply to you, you’re more likely to snore and deal with some of the other health issues that snoring can cause. Research shows that people who snore are more likely to develop heart disease and experience strokes. This has to do, in part, with the fact that people who snore are more prone to developing atherosclerosis. Atherosclerosis occurs when arteries narrow due to the collection of fatty plaque deposits. People who snore, specifically, are likely to develop atherosclerosis of the carotid arteries in the neck. Snoring has also been linked to increased instances of high blood pressure, heart attacks, and irregular heart rhythms (also known as arrhythmias). People who snore or suffer from sleep apnea are also more likely to suffer from gastroesophageal reflux disease (also known as GERD). If your throat relaxes while you sleep and causes obstructions that cause snoring, you’re also more likely to experience pressure changes that cause the contents of your stomach to be pushed back up into the esophagus while you sleep. This causes the burning sensation in the throat that many people experience when they deal with GERD. Snoring seriously affects your sleep quality. If you’re not getting quality sleep, you’re more likely to feel drowsy during the day. If you’re drowsy during the day, you’re more likely to hurt yourself and others. People who are drowsy during the day are more prone to getting into car accidents, in particular. This is especially true for those who drive alone. People who experience poor sleep are also more likely to suffer from mental health conditions like depression and anxiety. People whose snoring is associated with obstructive sleep apnea have an especially high risk of dealing with poor mental health. In fact, one study found that these individuals are five times more likely to experience clinical depression. Poor sleep quality also increases your risk of being overweight or obese. Conversely, being overweight or obese also increases your chances of snoring or dealing with sleep apnea. When you don’t get sufficient sleep, you’re more likely to overeat. You’re also more likely to hold onto body fat. Sleeping on your back increases your chances of snoring. Try sleeping on your side instead. Use a body pillow to provide extra support. You can also attach a tennis ball to the back of your pajamas to stop you from rolling over onto your back at night. Losing weight can help relieve pressure around the neck and reduce obstructions that cause snoring. Avoiding alcohol can work wonders when it comes to preventing snoring. Stop drinking alcohol at least 4-5 hours before bedtime. Establish a nighttime routine and stick to it. This will help your body prepare for rest and increase your chances of sleeping deeply. If you’re not changing your pillows regularly, you’re also more likely to experience nasal congestion and allergic reactions that cause snoring. Change your pillowcases once a week and replace polyester pillows every six months. Memory foam pillows can last for 18-36 months before they need to be changed. Staying hydrated can help keep your nasal passages and soft palate moist at night. This, in turn, reduces your chances of experiencing nasal congestion and snoring while you sleep. This is another reason to avoid alcohol before bed. Alcohol is a diuretic. This means it causes you to become dehydrated. There are also a lot of natural remedies that people swear by when it comes to treating snoring. Many people have also found relief from avoiding certain foods. Dairy, grains, soy, and sugar can increase the buildup of phlegm in the throat and contribute to nasal congestion and snoring. If you’ve met with your doctor and been diagnosed with sleep apnea, these lifestyle remedies can help you improve your sleep quality and reduce your symptoms. You can also use devices that are specifically designed to keep your airways open and stop you from snoring. Talk to your doctor to find out which of these devices will work best for you. As you can see, there are lots of different steps you can take to stop snoring and improve your sleep quality. Do you want to learn more about how to stop snoring at night? Or, do you want to read reviews for products that can help you make snoring a thing of the past? Either way, be sure to check out our other blog posts today. 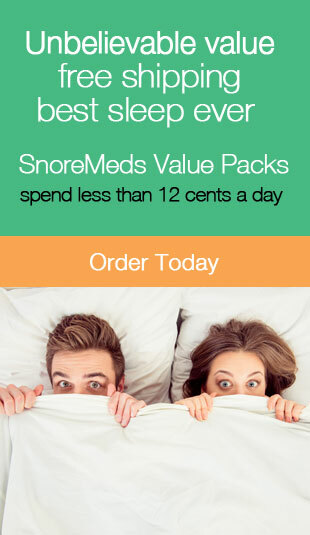 These articles on the top snoring aids on the market are a great starting point!